Share your experiences with Access 125? Value for money as far as build quality and performance is concerned.Most powerful a d smooth engine. mileage is poor but overall the scooty is good. It is better for daily use and it giving more mileage with more prformance. Suzuki has given the ageing Access scooter a shot in the arm with cosmetic updates, reworked powerplant and new bunch of features. Have these changes and updates done the trick for the new Access 125? Read on..
Suzuki’s all-new Access has impressed us in a lot of ways, and feels better than the original. But can it reclaim its crown of being the best 125cc scooter? 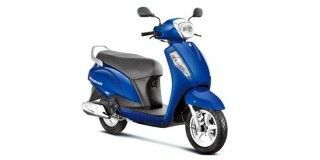 Confused about Suzuki Access 125?